Let's Rock Like da Vinci - Cook Away! 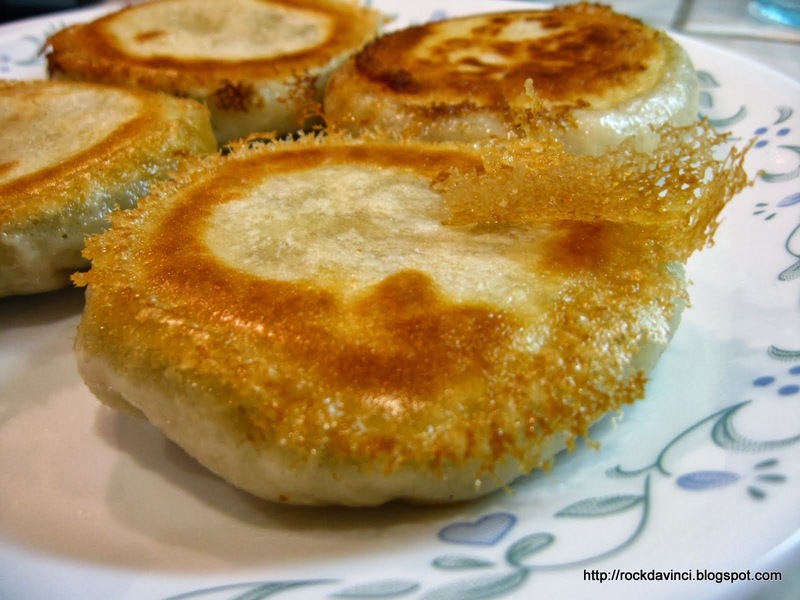 : Polly's Jiane Bien - Fried Meat Filled "Cake"
Food adventure is getting better and better each day, as our access to International food is becoming so convenient. I am seeing several dishes and snacks that are so much alike to each other that I chuckle quietly when I eat them. And when I find one that is really tasty that's like "Wow, this taste good" comes out really from the heart. This is old time family recipe. 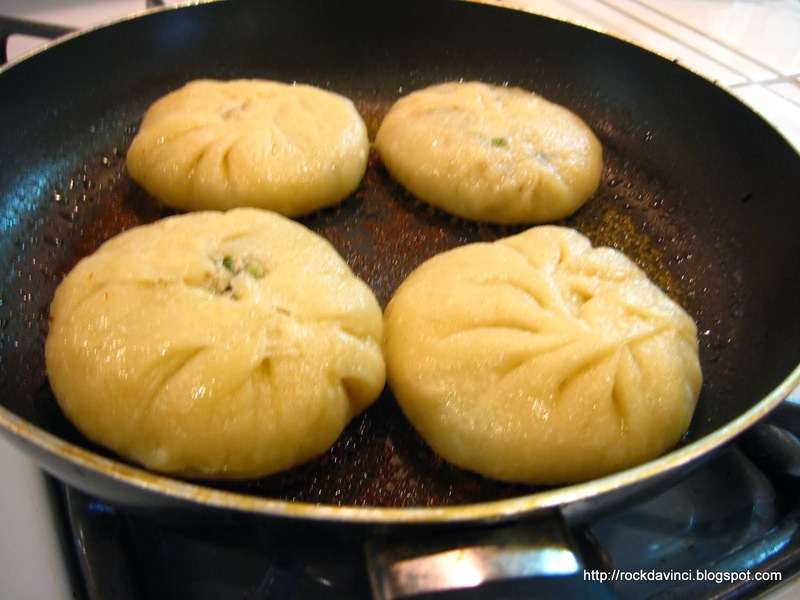 Dough is made from flour that is mixed with hot water. 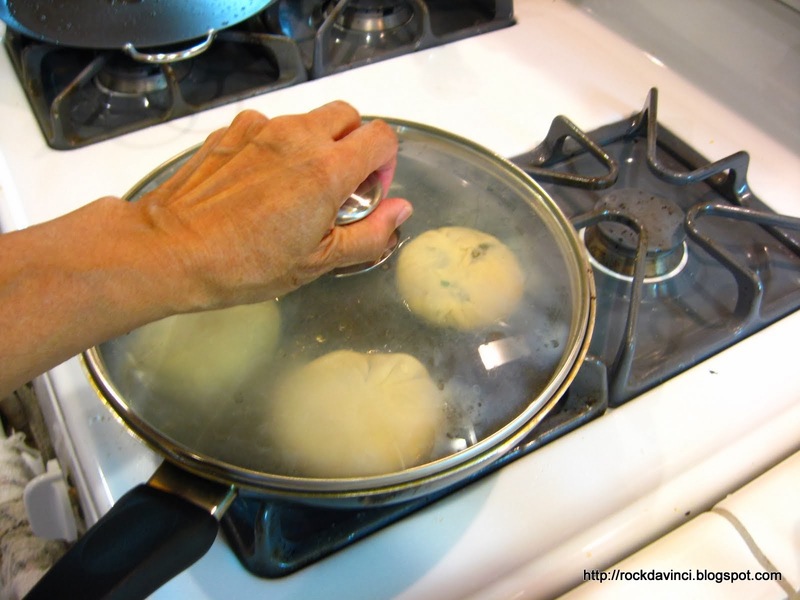 The principle of 'fried' dough is to make the dough with flour mixed with hot water to create half cooked dough. 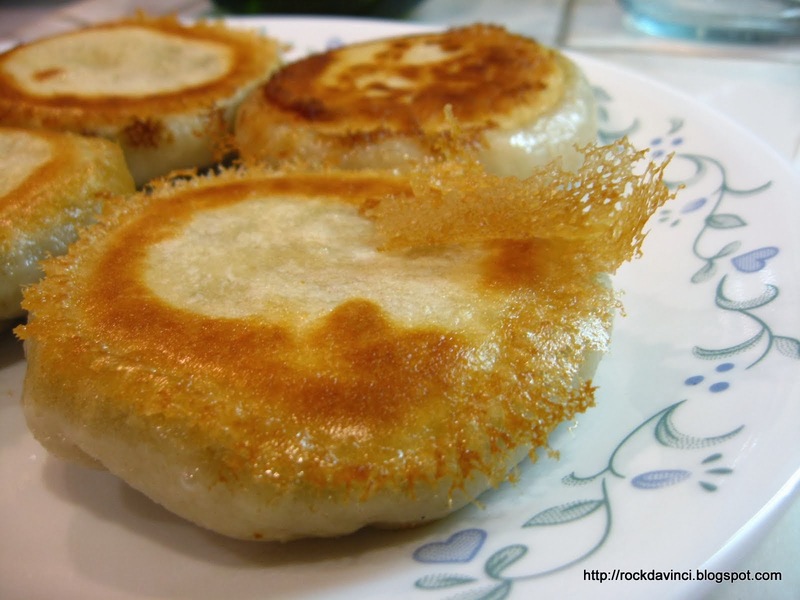 If the dough is used to make steamed or boiled dumpling, then, cold water is used to mix the flour. NOTE: I am still testing this dough ingredient's measurement's consistency, so if you know a good dough bread recipe for frying, it's worth using that. I am not 100% satisfied with this dough texture. Mix and knead for 5 min. Set aside Covered and rest for 30 min. 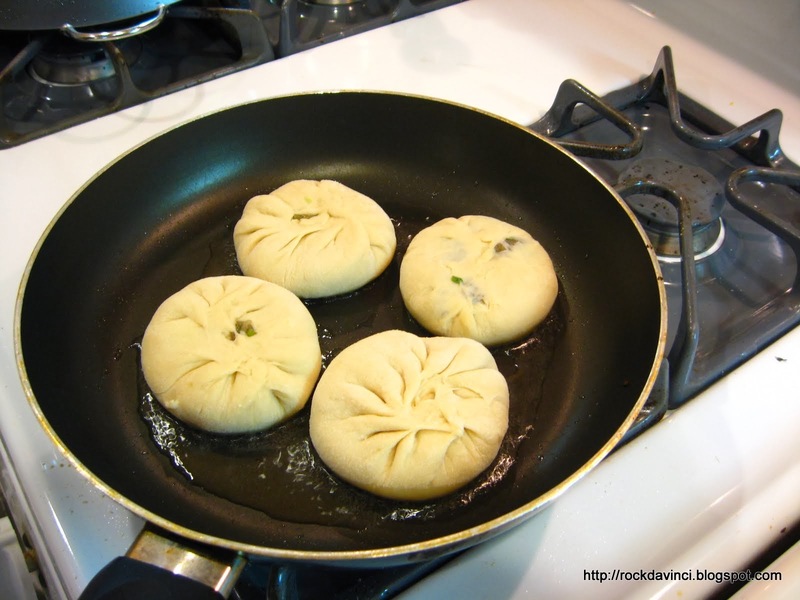 Divide the dough into 4. Roll it out into 4 inch rounds. Divide the meat mixture into 4. 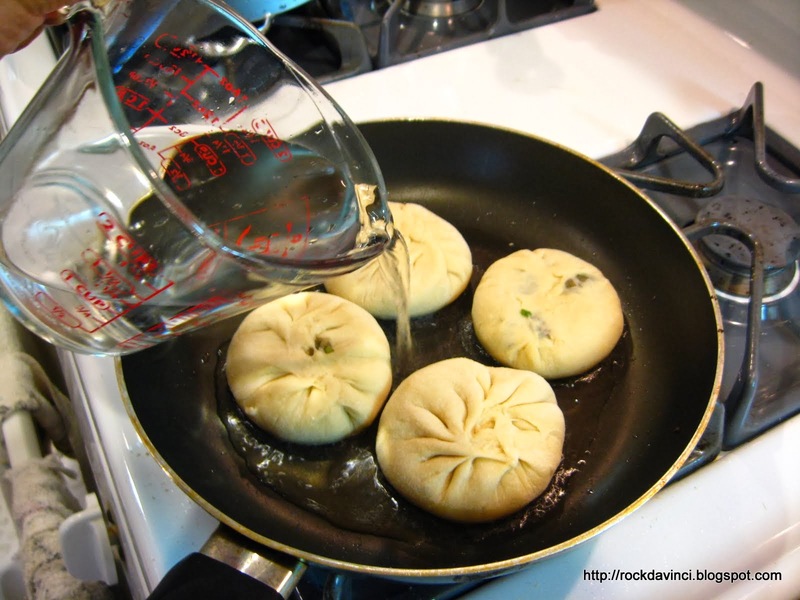 Enclose the meat in the dough. Preheat the frying pan. Add 2 TB cooking oil. Medium heat. Add 1/2 Cup hot water. Turn up the heat. Cover and cook until all liquid evaporates with only 1 Tbsp left. Remove the lid. Listen attentively and do a visual check of the bottom without lifting the Bien What you are trying to do is brown the bottom to beautiful golden color. 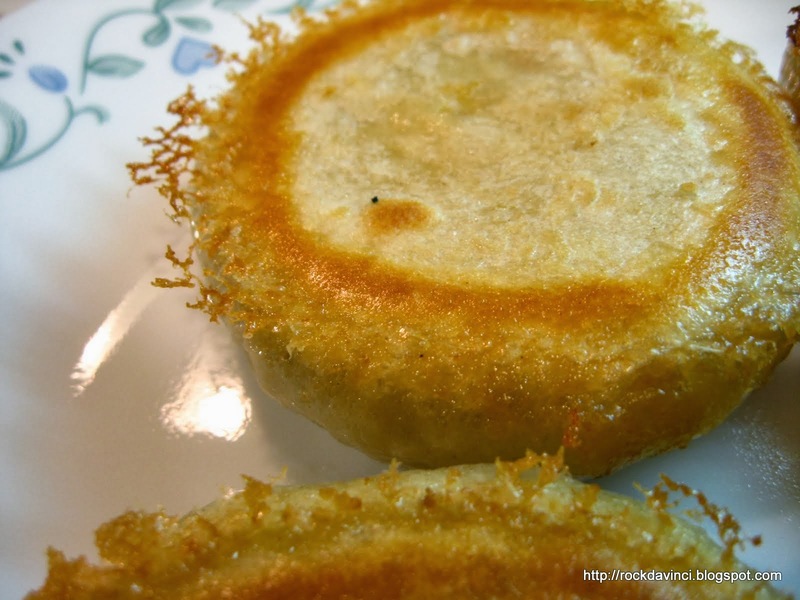 Serve with Soy sauce and Sweet Vinegar mixture with slivers of raw gingers.